Beautiful ranch style home with a two car garage on a half acre lot located on a quiet street in Poncha Springs. Open Floor plan, upgraded high end appliances, center island, new light fixtures and Master Bedroom Suite. Soak in your oversized tub with the warmth of a gas fireplace, enjoy a walk in shower and large vanity with double sinks. On the other side of the home, you find two additional bedrooms and a bath with a walk in shower. Lots of storage, large walk in closets, laundry, pantry, new flooring, tile and newly remodeled through out. Oversized two car garage includes a finished "Man Cave" room hidden away in the back. 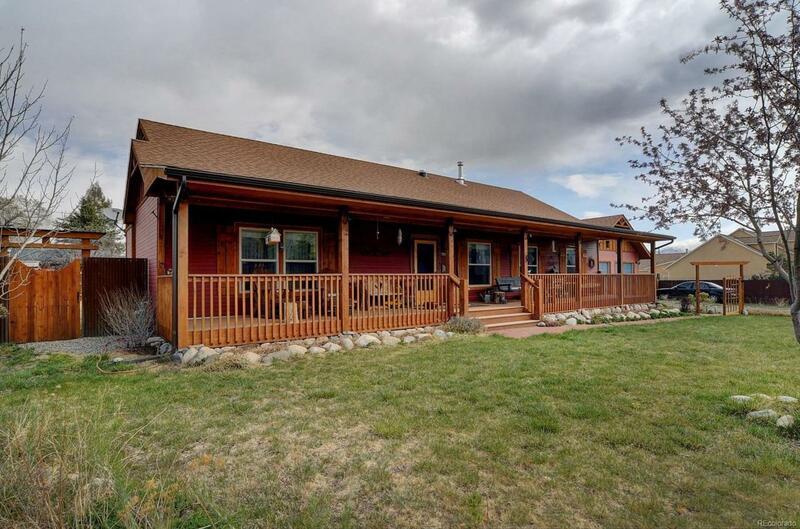 Built off the main house is a fully enclosed glassed in back deck to sit and enjoy your large backyard. Fully landscaped, green house, grapevines, garden and the "Amish Chicken Coop is very fancy. Sit on your front porch, which runs the full length of the home to pass the time away in your rocking chair. This is a special well cared for home. By appointment.